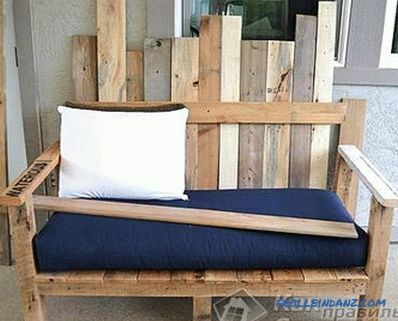 There are several unusual ways to make a sofa out of easily accessible materials. Thus, you get a piece of furniture at the lowest cost. 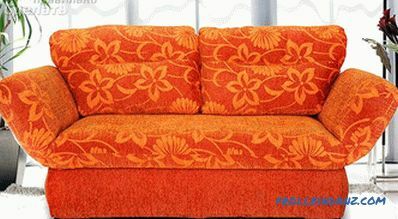 Most of the work on the construction of the sofa is the construction of the supporting structure of the beam. 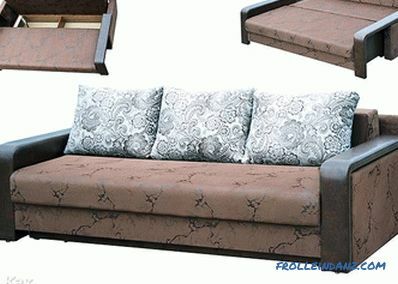 To make the process more convenient, it is worth making a choice in favor of a bar with a size of 7 * 21 cm, from which you will also make furniture legs. No less important in this matter is and the collection of a strong back for the sofa. 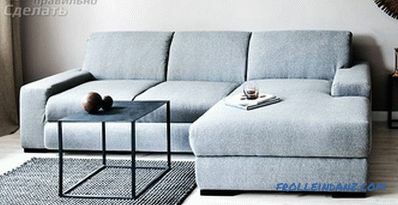 Since this version of the sofa is quite simple and does not provide for a folding system, the back is made in the same way with a frame base. The back is fixed on the base with thick metal corners as tight as possible. How much the back will be inclined to choose only you, based on your feelings. 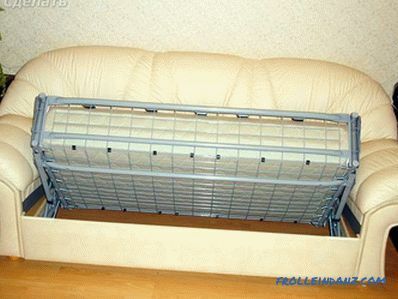 In the third stage of work, you will make a grid for support on the sofa frame, necessary to hold the seat cushions. This is done with the help of a metal armor mesh from the old bed. Fixing the grid on a wooden base with metal clips, you will get the desired result. For greater reliability, glue on several longitudinal frame bars. stitching three covers of the same upholstery and equipping them with zippers, tamp them with foam rubber remnants. 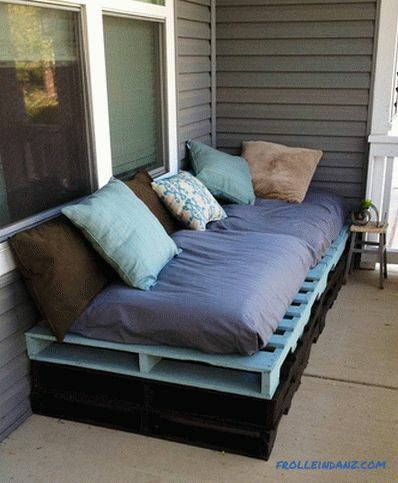 It should make three pillows. Wooden version The base and back in this model of the sofa will be two used wood doors. You will need to pre-clean them from old coatings and dirt, and then process them with a grinder. 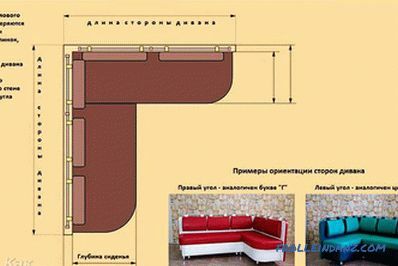 Next, the doors are painted in the color of your choice, while trying to match the general interior of the room in which the sofa will be installed in the future. You can give preference to wood veneer. Using nails, fix one flap on the wooden stump of the appropriate size, and then fix the second part (back) with metal clips and glue. 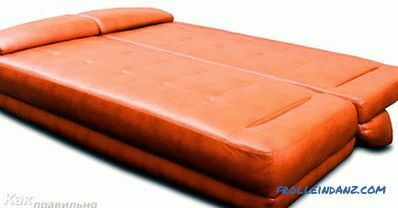 After that, start making the mattress: cut the foam of the same size with the seat and cover it with a thick cloth (a mat is ideal for this). 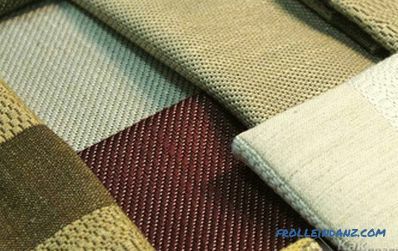 Already on top of this material will stretch bright fabric of good quality. 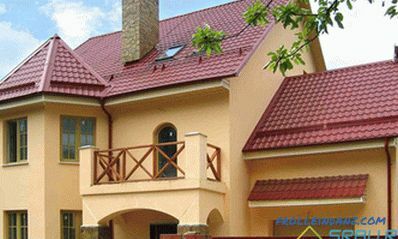 The main requirement is the construction of the most durable and reliable frame base. The whole main burden falls on him, and if you ignore this requirement, you can get injured in the process of operation, and it will not last long. Based on this, you can choose a different material for the base that meets the requirements. 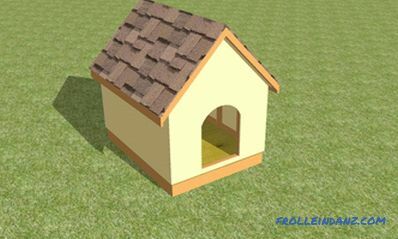 You can beat the finished structure as you please, it all depends on your preferences and fantasy. furniture legs 5 cm high. At connection parts are not recommended to use nails. They quickly loosen, and the sofa will creak and collapse as a result. Therefore, for the best connection to use screws. Each block of the structure is made of a frame, the basis of which is timber, chipboard and plywood. The internal space in blocks 1 and 2 can be used rationally by making removable covers. For their supports, a timber of 20 * 30 mm is fixed along the perimeter of the frame. It is installed below the upper cut on the thickness of the cover plate. To make the lid comfortable to lift, you can drill holes in your fingers. 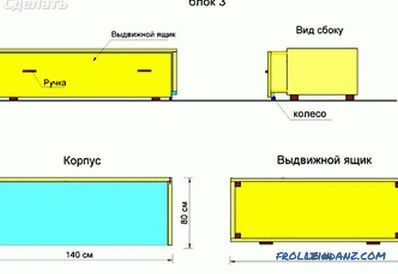 Block 1 and 2 are identical in design. Their only difference in size. The first block is equal to the size of 100 * 60 cm, and the second - 60 * 60. It is the second block that will be located in the corner of the structure and interconnect the first and third blocks. 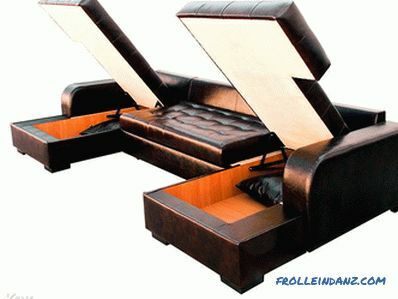 As for the third block, it is possible to make a drawer-seat in it. 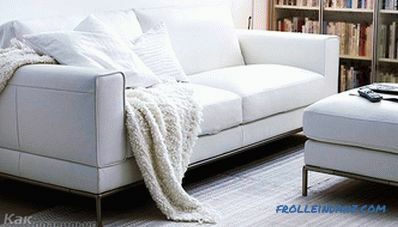 Due to this, the useful area of ​​the sofa will increase. 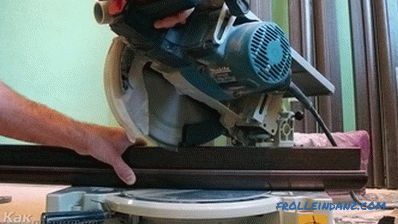 To do this, you can install a sliding or swivel mechanism. 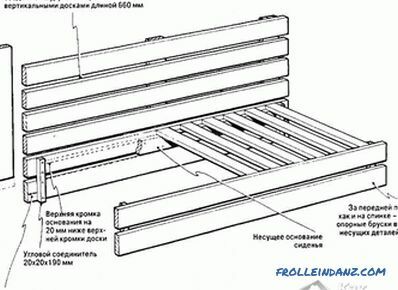 The drawer will also be equipped with a chipboard cover. If it is easy to assemble, then in the manufacture of the legs may be difficult. Why? When the drawer is pushed into the body of the sofa, they will interfere. 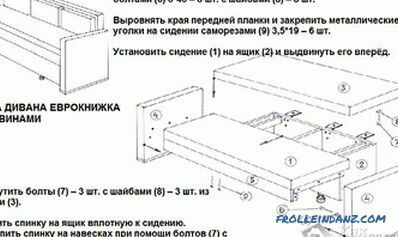 Therefore, instead of legs, it is necessary to increase the height of the front side of the drawer. 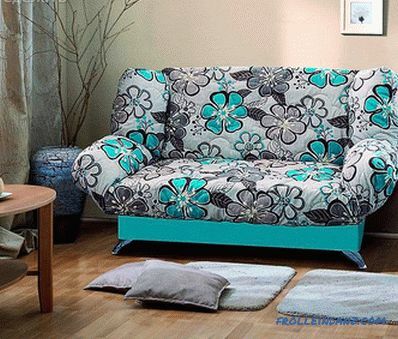 When folding the corner sofa, it will serve as a supporting platform. 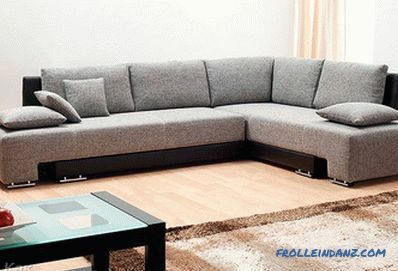 And to easily pull out the box, you can fasten the furniture wheels to the bottom. 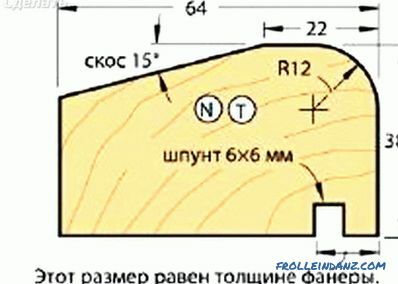 The cover for the third block (indicated in the diagram) can also be made removable. Inside, for example, it will be possible to fold bed linen. 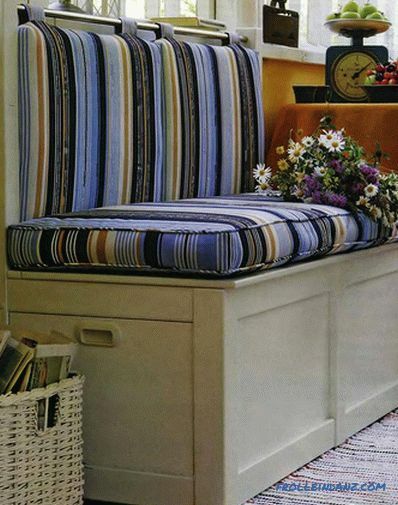 The size of the seat cushion must be equal to the size of the drawer. 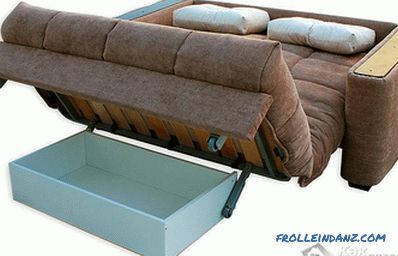 Therefore, when the drawer is pulled out, the pillow is removed from the back and placed on it instead of the mattress. 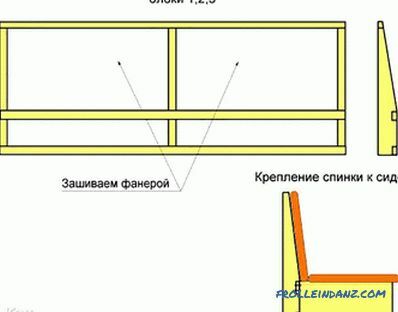 Position the 3 beams horizontally and, as in the illustration, connect them with vertical stands. In our case, the height of the backrest will be 105 cm. 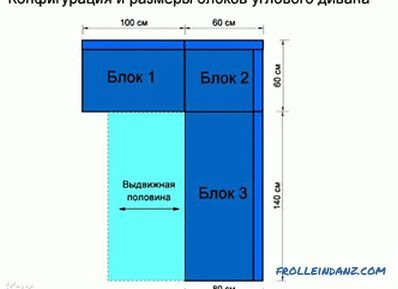 The lower second bar will be located at a height of 25 cm. They will serve to fix the backrest to the sofa. 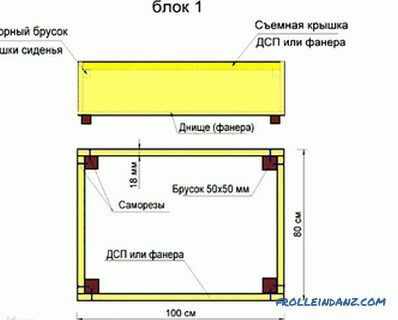 The upper bar will be used as the basis for fastening the casing and provide the necessary rigidity of the structure. The framework is sheathed on both sides with plywood 5 mm thick. In order to avoid hooking and unevenness when laying upholstery fabric, treat all corners with emery paper. You stick thin foam rubber on the side and front surface, due to which the upholstery will be soft. 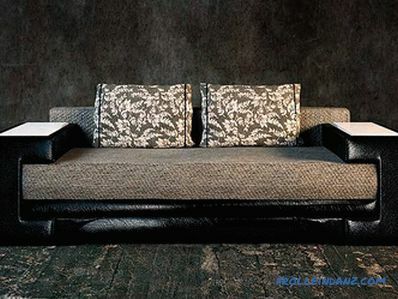 In conclusion, it remains to sheathe the entire sofa, including the back, with the selected material. Before that, take all the measurements, and then cut out the fabric with an allowance for the turn. Fastening material can be a stapler. The place of attachment should be on the invisible part of the end panel. Make sure the fabric is not wrinkled at the corners. 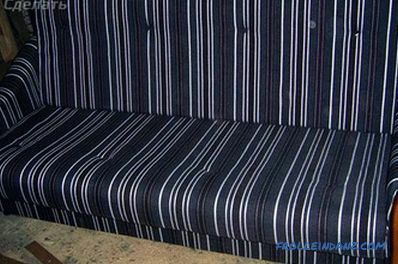 As for the manufacture of pillows for the backrest and seat, they can be made of foam with a density of 140-170 g / day and a thickness of at least 10 cm. You will also need to sew a cover with a zipper. This will allow, if necessary, to remove the cover and wash it. 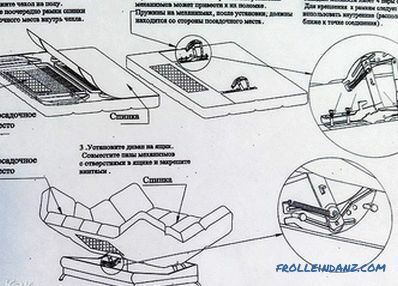 A sofa can perform several functions. 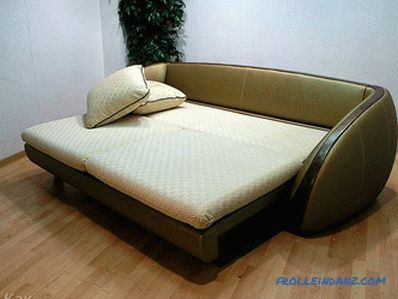 So, it can be used for short rest during the day and for a good rest at night. Consider the sequence of works. Schemes will be attached to the description, so that you can visually see the manufacturing process. From 19 mm thick boards you cut two blanks 775 mm long and 381 mm long. Of them collect frame A / B. The same size is cut panel D out of plywood. First, the frame is glued together, and after the glue dries, it is twisted with screws. After that, cut the lugs C. Thanks to them, the fixing of the bedbands will be ensured. The thickness of the boss is equal to the thickness of the frame.These parts are glued to the frame and set aside to dry. Now it's time to cut the blank D (size 381 * 775 mm). In the collet chisel secure the cutter. She will be sampling folds 3 * 6 mm around the perimeter of the workpiece, but only from the front. 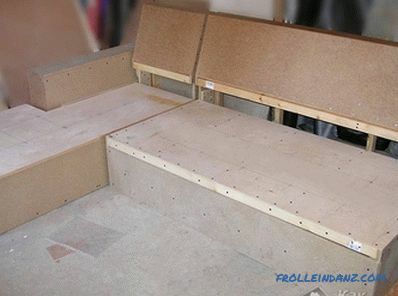 After that, take the 2 panels, which will be located on the inside of the sidewalls and connect them with double-sided tape face-to-face. On one of the panel mark the places for the manufacture of holes Ø19 mm, which will indicate the end and the beginning of the slot. Further through both panels, drill holes in the intended place. Next, draw lines between the holes. Cut off the slits with the jigsaw. 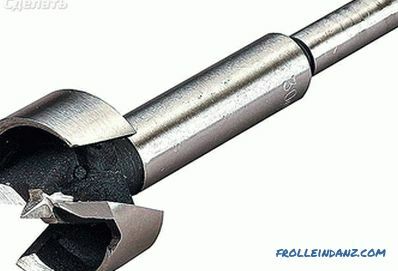 To make sure that the slots are even, slide a Ø19 mm pin inside them. 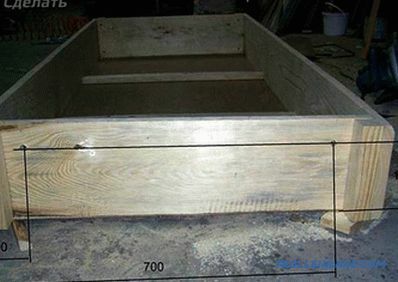 If necessary, sandpaper can modify the place where the size does not correspond to 19 mm. Finally, the chamfer should be cut off at the edges of the slits, 3 mm wide on the front side of the part. 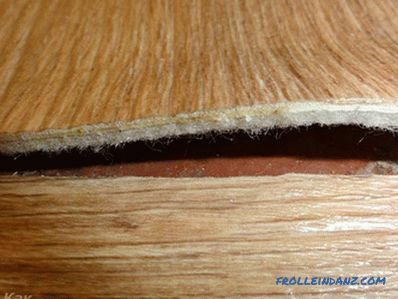 The bottom of the folds stained stain, so you emphasize the shadow gap, which is formed between the sidewall trim and the edge of the panel. Now you can try on the panels made to the previously made frames. Along the edges of both parts must be exactly the same. After these manipulations, cut the side and bottom / top parts of the edging E and F. They must be cut with an allowance of up to 25 mm in length. For their joining the edges are cut off at an angle of 45 °. Edging connects to the frame with glue and screws. If necessary, the assembled parts are polished with sandpaper. For the manufacture of legs, cut block parts G, legs I tie, spacers J, and front panels H. Join the G and H blanks so that the sides and downs of the parts come together. Then, using a clamp, fasten the workpieces to the screeds I and complete the recurring holes. A razzenko hole is made for the head of the countersunk screw. To do this, it is best to insert a screw with a head of the desired diameter into the drill chuck. When using a drill, chips may be formed, especially when drilling holes in plywood. The resulting hole is used to connect screeds and legs. Around the bottom end of the legs milled chamfer in 3 mm. After that, the resulting element polished with sandpaper. If you want to give the blanks a special tone or color, you can process them with stain. Spacers J must be connected to the lower sides of the sidewall. Make sure that there are no projections on the sides. 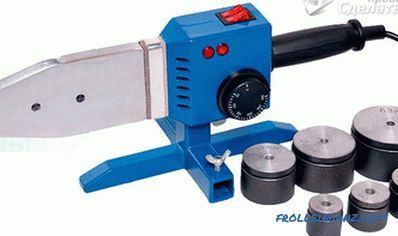 Then the leg is attached and it is also necessary to align it along the edges of the workpiece F. Make a hole through the couplers I, cut it up and connect the parts with self-tapping screws. 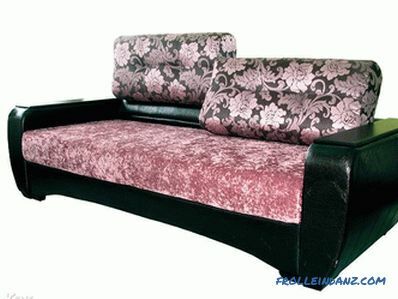 On the opposite side it is necessary to make an armrest of the appropriate size. The armrest should protrude beyond the edges in front and behind, and should be flush with the inside panels. 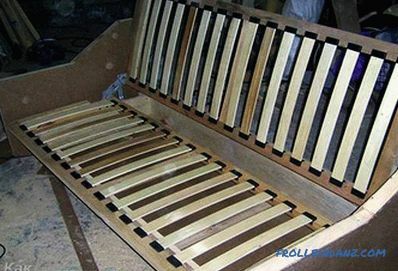 For the manufacture of the back and seat Several blanks should be cut out: the M-pillar, the upper crossbar N, the lower crossbar O, the side bars Q, the lining R, the rear S and the front crossbar T. For making, you can use a 50 mm board. As for the seat panel U and the back P, they can be made later. 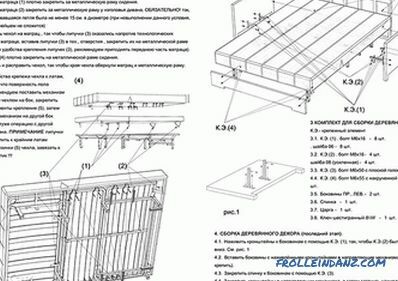 Now in the side bars Q and the rack M, drill holes and boreholes for the side bars For Q blocks, fasten the pads R.
A tsekovka is a countersinking process, which means cleaning the end surface. As a rule, the tsekovka is performed in the form of mounted heads, which have face teeth. 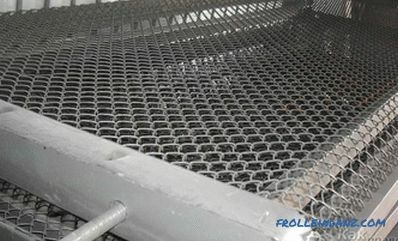 This process is performed under a washer, nut or thrust ring. In the stands, make grooves 38 mm wide. 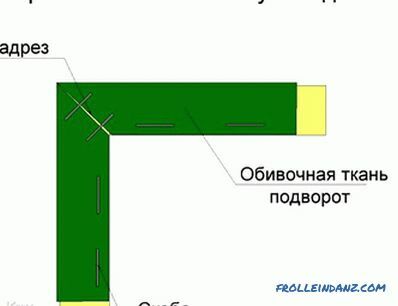 Also make folds at the end of the front crossbar T of 76 mm width, and at the end of the upper crossbar N and the rear S - 38 mm. Next, in details M, N, O, Q, S and T, perform the dowels 6 mm deep. To do this, use a router. 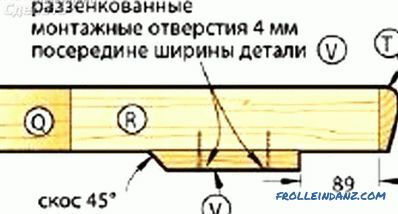 The tongue implies a longitudinal protrusion on the edge of the board or beam. It enters the corresponding groove of another board with a similar shape. This method of connection is known as grooved. After that, take the workpiece N and T and mill round them with a radius of 12 mm. Also perform bevels of 15 °. At the ends of the N, T and S parts, make the 8 mm deep counterbolts, use Forstner’s Ø10 mm drill bit, and make mounting holes in the center of the counterbore. 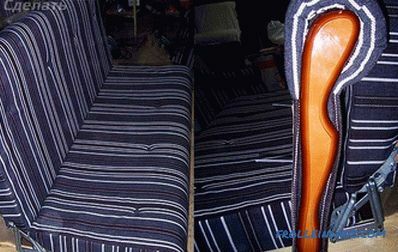 At the next stage, it was time to make the backrest and seat P and U. Cut them off according to the specified dimensions around the perimeter of the part, it is necessary to perform milling of folds 10 mm wide around the perimeter.In this process, ridges should be formed. 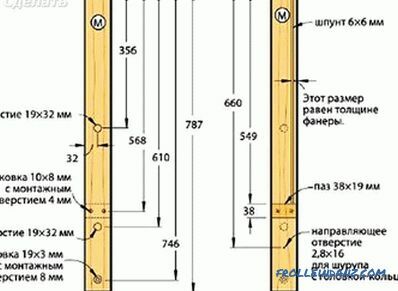 They should enter into the grooves of the blanks T, S, Q, O, N and M. Next, you need to lubricate the tongues T, S, R / Q, O, M and N and, fixing with a clamp, glue them to the panels U and P. Through earlier drill holes on T, S, N, and M parts; drill a hole in the panel and secure the parts with self-tapping screws. In the after-cut, it is necessary to glue wooden corks / plugs. At the end of these plugs should be polished flush with the workpiece. Now it is necessary to make stops V at one end with a bevel. It is necessary to press the clamp to the seat on the designated place. After drilling holes, rezzenkuyte them and fasten with a screw. Grind a 3 mm bevel around the end and cut a length of 57 mm. As a result, you need to make 4 such parts and fix them in the holes of the backrest racks. At this stage it is still necessary to make four wooden washers, 6 mm thick and Ø127 mm. Grind these spacers smoothly. 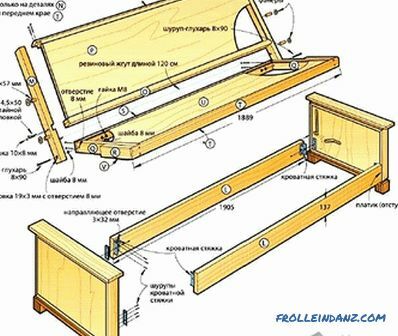 To connect the backs you need to cut the tsars L. Immediately before assembling the sofa bed, make sure that there are no sharp corners and chips. If necessary, they should be sanded with sandpaper. Finally, it remains to complete the trim as well as the final assembly. Closely adhering to the schemes and set out step-by-step instructions, you will manage to do all the work yourself. 1 set of mechanism for a sofa book. With all of the above, you can get to work. 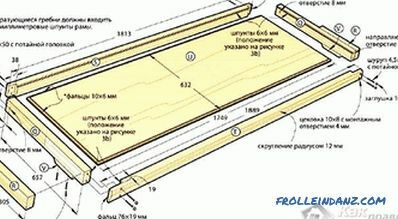 2 boards 25 mm thick (40 mm thick or 20 mm plywood), 1900 mm long and 200 mm wide. 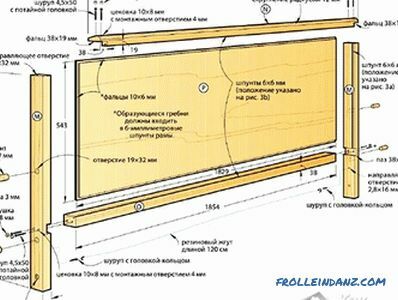 From boards of 800 and 1900 mm in length, assemble the frame, reinforcing the structure with transverse slats. To the bottom of the construction nailed fiberboard, the appropriate size. Next, you need to collect the back and seat of the sofa. The size of the bed should be quite spacious, so consider this when calculating. 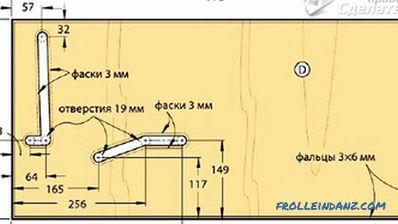 So, collect 2 equal frames, size 1890 * 650 mm from a bar 40 * 60 mm. 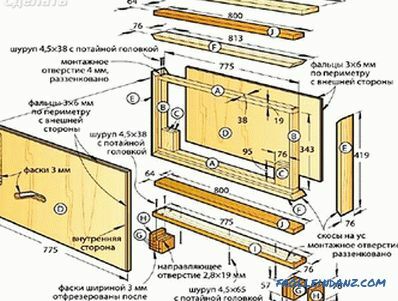 The frame of the timber is best fastened with screws. To do this, pre-drill holes Ø8 mm to a depth of 10 mm. 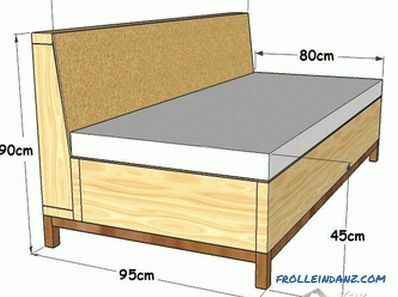 After making the frame, you need to fasten the lamellae to hold the mattress. It follows make a wooden frame. At the same time it should be 20 mm shorter than the size of chipboard. After you make holes Ø8.5 mm in the frame and insert bolts of 8 * 120 mm into them and then the frame is sutured. 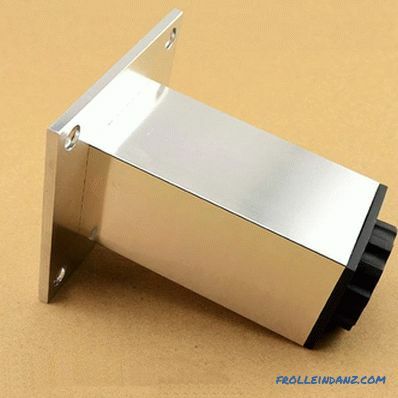 Also drill holes in the laundry box, only Ø10 mm. 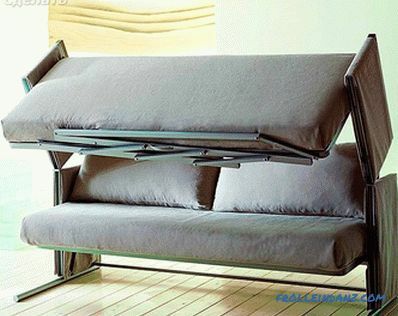 Now the individual parts of the sofa are assembled into one. A special transformation mechanism is also used. 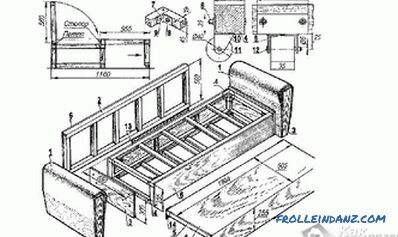 When assembling two frames, consider the fact that in the unfolded state there is at least 10 mm between them, and when folded, the seat does not protrude beyond the armrest. After that, the frame must be sheathed. It uses foam and prepared fabric. Do not forget to sheathe the fabric and foam foam armrests. Book. This model is one of the simplest. 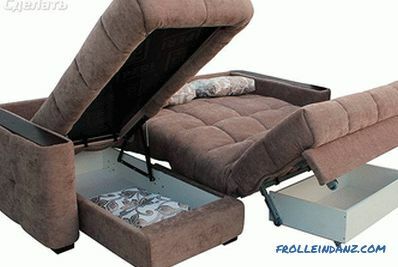 Expanding the sofa forms an extra bed. And for convenience, springs are installed in the back. Eurobook. 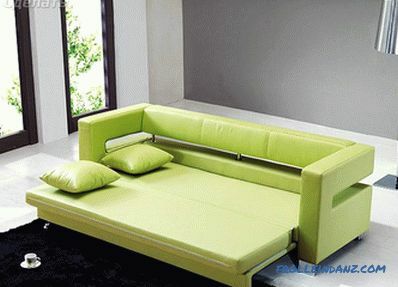 With a light ottyagivaniya on the seat the sofa comfortably unfolds, and on the resulting free space fit the pillows. Vykatnaya. The lower part of the movable. As a result, a full-fledged sleeping place is pulled out. This model has a major drawback - rapid wear mechanisms. The sofa dolphin. This type of construction is most often made angular. When it is extended, two sleeping places are obtained. And the extra bed rises from under the fixed part. 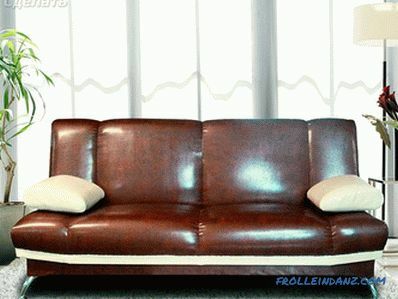 Sofa Accordion. This model is quite compact, consisting of 3 parts that fold out and fold. 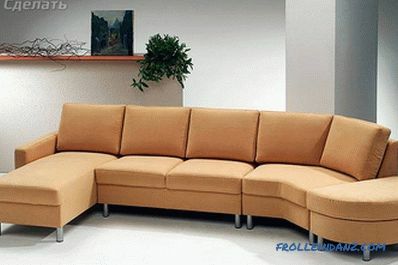 If you decide buy a sofa or make it to order, then contact the online furniture store. On the Internet you can find inexpensive options of various forms: both straight and angular.